The professional kitchen modelers and builders at Art’s Custom Countertops have seen all kinds of styles when it comes to kitchen counters for over three decades. Art’s Custom Countertops has experience installing many styles of kitchen countertops; some have faded away with the time while others have survived for many years. We have seen all kinds of styles including Italian marble, butcher block countertops, and colorful countertops that included deep blue, green, and taupe. Two of the most popular styles today include quartz and granite. Each option comes with their own pros and cons. Granite counters need to be resealed once a year or so, while quartz counters do not need to be resealed at all. With that said, there is a material that has been around for over 30 years, but it often gets overlooked these days. Laminate kitchen counters are great because they offer the best of both worlds from granite and quartz in that they look great and they are affordable. 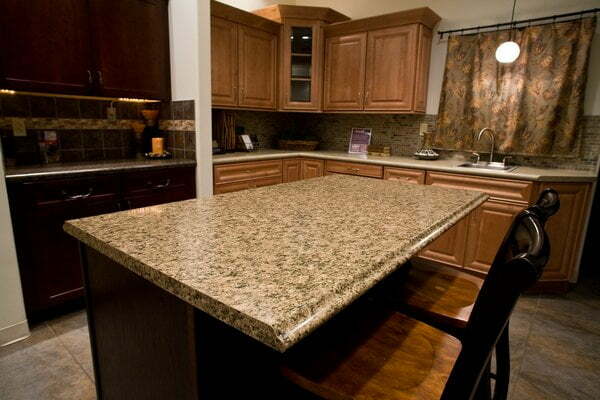 When it comes to price, laminate counters usually costs a quarter of what you would pay for quartz or granite. This means that in 10 years when different styles and colours begin to trend, you can easily upgrade to a new laminate countertop without spending a lot of money. Another plus is that laminate counters that are built today are extremely well made, so they can stand up to whatever you are cooking in the kitchen. Laminate counters are also very stylish and come in different colors and patterns that will suit your preferences. The best part about laminate kitchen countertops is that they only need to be replaced every 10 years (if not longer), meaning you will get a lot out of the little investment you will be making. If you are looking to upgrade your kitchen with new countertops, then come to talk to the experts at Art’s Custom Countertops today. Our staff is eager to help walk you through the different trends and styles of kitchen counters that we offer. If you are in Kitchener, Ontario or the surrounding area, and you are looking to update your kitchen with the best countertops available today, call the professional team at Art’s Custom Countertops. We take pride in helping everybody achieve their kitchen renovation dreams!